Leasing Options cherry-picks a selection of bite-sized automotive news from the past seven days. In this first AutoBites, there’s news from BMW, Honda, Skoda, KIA, Jaguar and Hyundai. 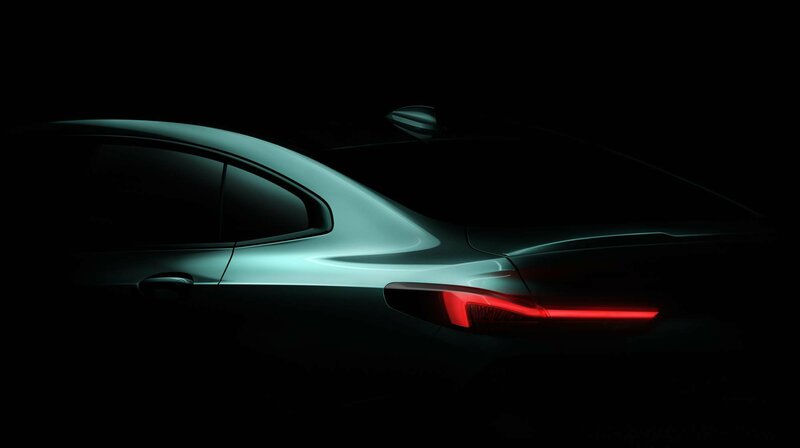 BMW has released an early teaser image of the 2 Series Gran Coupé liftback. Offering greater practicality for families, the four-door coupé will undergo its world debut at the Los Angeles motor show in November before going on sale in early 2020. In a press release accompanying the teaser image, BMW confirmed the upcoming car would run on a front-wheel-drive platform and share many of its mechanical underpinnings with the next-generation 1 Series. The all-new new model will have a wheelbase midway between that of the current 2 Series Coupé (2,690mm) and the 3 Series saloon (2,810mm), to accommodate the rear doors and offer sufficient rear seat leg room. Inside, the 2 Series Gran Coupé will feature the new interior layout that's expected to be adopted by the next generation 2 Series Coupé and 2 Series Convertible, both of which are due in late 2020. The turbocharged three-cylinder and four-cylinder engines for the 2 Series Gran Coupé will mirror those of the existing pair. There will also be an M2 Gran Coupé to sit atop the range, with the same 365hp turbocharged 3.0-litre in-line six-cylinder engine as its thrilling two-door sibling. Honda has refreshed its compact HR-V crossover with revised looks, a tweaked interior and new technology. The boldest change is the new chrome panel that sits above the front grille and the headlights have also been updated with new lenses - while the standard LED daytime running lights have been redesigned. Higher-spec models are now available with a new 17-inch alloy wheel design, while the exhaust tailpipe is fitted with a new chrome finisher. They also feature new front and rear LED lights. Inside, the front seats have been redesigned with changes to the seat cushion and back rest, providing more support than those fitted to the outgoing model. The standard fabric upholstery is now harder-wearing than before, while top-spec models feature leather as standard. Honda will be offering the HR-V with the same 1.5-litre i-VTEC petrol engine as previously available, but tweaked to be more efficient, with fuel economy under the new WLTP test regime starting at 53.2mpg and CO2 emissions from 121g/km. 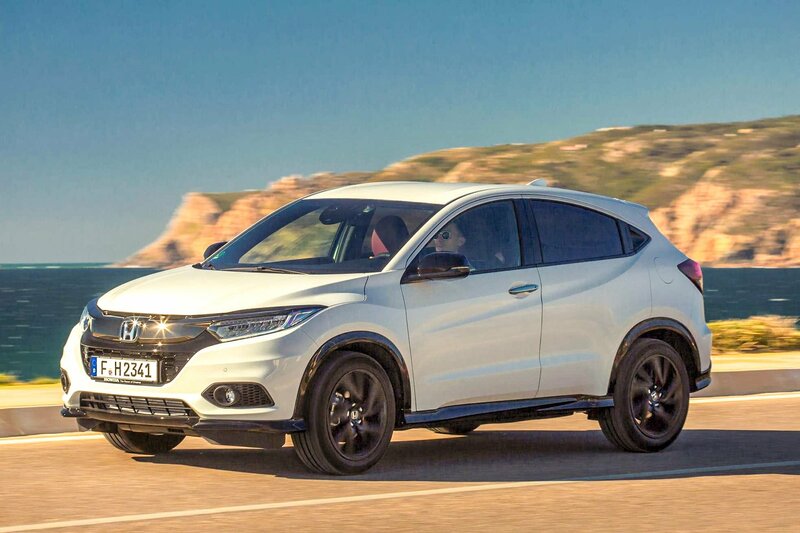 With 130PS and 155Nm of torque, the petrol HR-V will hit 62mph in 10.2 seconds when paired with the six-speed manual gearbox, or 10.9 seconds with the CVT automatic. A sportier turbocharged petrol is now available, as is a 1.6-litre diesel. 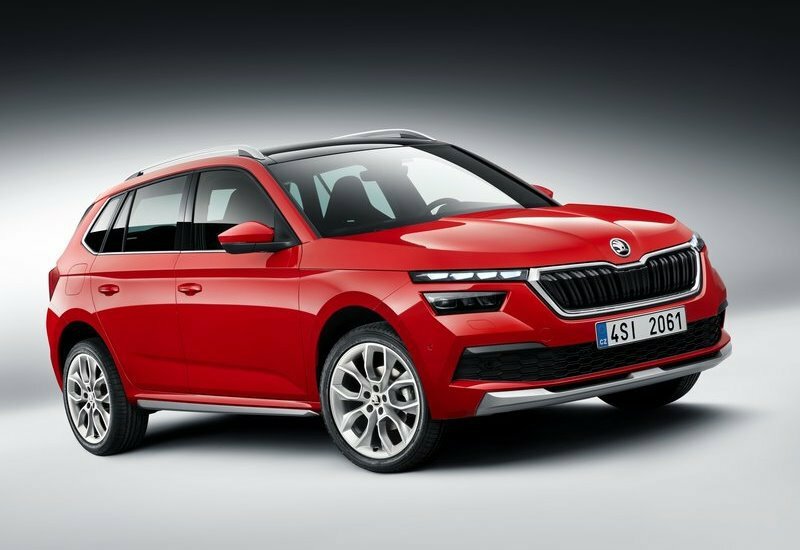 The new Škoda Kamiq becomes the brand’s third and most compact SUV to date. It is the range-entry model which completes the three-tiered SUV line-up of the Karoq and Kodiaq. The Kamiq will compete with the SEAT Arona, Volkswagen T-Cross and the Nissan Juke for sales. 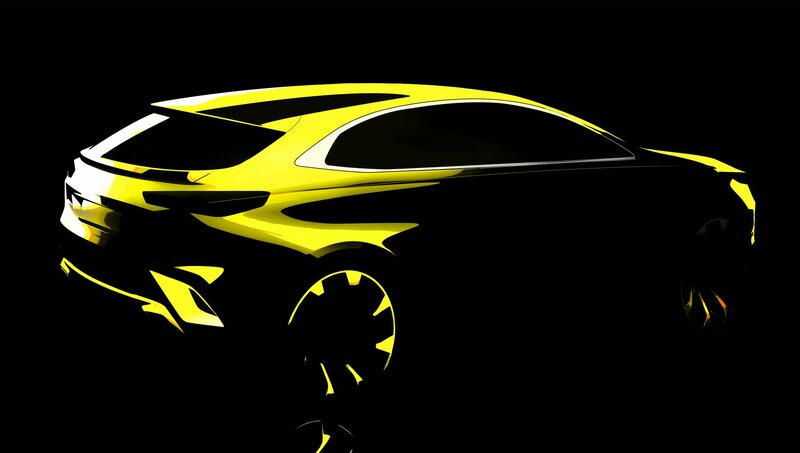 However, Škoda will attempt to outshine all the Kamiq’s main rivals by making it one of the most practical and technologically advanced models in its class. It has a rugged-looking front grille and shares its quad headlight arrangement with the imminent Škoda Scala. At the rear, the Kamiq borrows more design inspiration from the Scala, with angled rear lights and lettered badging complemented by a silver-accented lower rear bumper. Boot space of 400 litres is just behind the Renault Captur but the Kamiq nudges ahead with 1,395 litres with the rear seats folded flat. Some models offer a folding front passenger seat, meaning that objects up to 2.4m long can be accommodated. The Kamiq will be available with a choice of four engines and front-wheel drive only. The range-entry model is the 94hp 1.0-litre three-cylinder, which is only available with a five-speed manual gearbox. There’s a more powerful 1.0-litre petrol engine with 113hp, followed by a range-topping 148hp 1.5-litre four-cylinder. The sole diesel choice will be the now familiar 1.6-litre engine with 113hp. All of the more powerful engines get a six-speed manual gearbox as standard, with an optional seven-speed DSG automatic also available. In a teaser image, KIA has revealed a crossover version of the Ceed hatchback due to the UK by the end of 2019. As yet, there is no official name for the new Ceed body style. ‘XCeed’, anyone? Now in its third generation, the current Ceed range currently comprises of the standard hatch, the Sportswagon estate and the sporty ProCeed. The addition of a crossover would near enough complete the model’s range – barring something extraneous like a pick-up! With market trends strongly tipped towards crossovers and SUVs, KIA is looking to further capitalise on the market – with this crossover joining the likes of the Sportage, Stonic and Sorento in brand’s crossover and SUV line-up. The BMW Z4 was officially unveiled at the Pebble Beach Concours event in the US images of the final production version have been released. The new car has been developed in partnership with Toyota, whose all-new Supra shares its chassis with the Z4. Unlike the previous folding hardtop model, the new Z4 has a soft roof, which BMW says can be opened or closed in 10 seconds at up to 31mph. BMW hasn’t forgotten practical considerations, either – the boot is 70 litres bigger than the last Z4's and the resultant 281 litres isn't negated by the roof when folded away. The BMW Z4 will debut with an expansive range of petrol engines, but no official mention has been made of diesel or plug-in hybrid power. The entry-level model, named sDrive20i, is powered by a 2.0-litre, four-cylinder turbocharged petrol that develops 194hp. BMW claims a 0-62mph time of 6.6 seconds for this model, with a top speed of 149mph. A more powerful version of the same engine is used in the sDrive30i, this time with 254hp and the 0-62mph drops to 5.4 seconds and the top speed is electronically limited to 155mph. 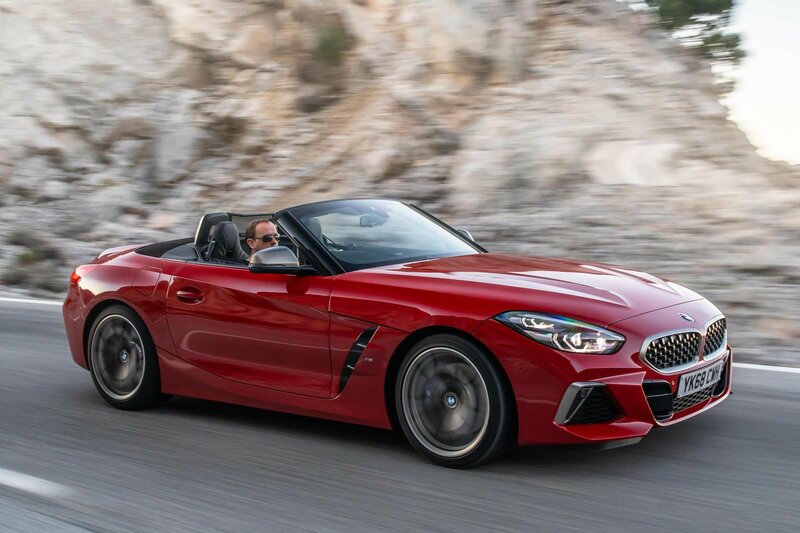 Although BMW has yet to publish standard equipment for each model, there seems no danger in the Z4 lagging behind rivals for on-board technology. Active dynamic cruise control is available and has the facility to bring the car to a standstill in queueing traffic and restart when the car in front moves away. There's also lane-changing assistance and lane-departure warning, as well as parking assistance. Adaptive LED head lights are available and incorporate clever matrix technology that can shape the beam to avoid dazzling oncoming traffic when travelling faster than 44mph. Jaguar has announced two Special Edition F-Pace models to join its refreshed 2019 model line-up – the performance-oriented ‘300 Sport’ and the feature-packed ‘Chequered Flag’. They arrive at time when the entire F-PACE range receives significant exterior and interior updates which include the addition of Apple CarPlay and Android Auto as standard equipment, while improvements to efficiency have seen CO2 emissions reduced by as much as 8g/km. The F-Pace 300 Sport comes with a choice of two 300hp AWD engine options; the 2.0-litre Ingenium petrol and 3.0-litre V6 diesel. The former has 400Nm of torque and can accelerate from 0-62mph in 6.1 seconds, while the latter offers 700Nm torque and can accelerate from 0-62mph in 6.4 seconds. The F-Pace Chequered Flag is based on the R-Sport trim line and comes with a distinctive exterior, including 20-inch gloss black alloy wheels as standard. The Chequered Flag is available in Yulong White, Santorini Black and in the newly introduced colour, Eiger Grey. A range of 2.0-litre AWD powertrains are available with the Chequered Flag, beginning with the more performance-focused 250hp 2.0-litre AWD Ingenium petrol, which powers the F-Pace from 0-62mph in 7.0 seconds. Diesel powertrains are available in 240hp and 180hp form, with the latter providing up to 41.9mpg. 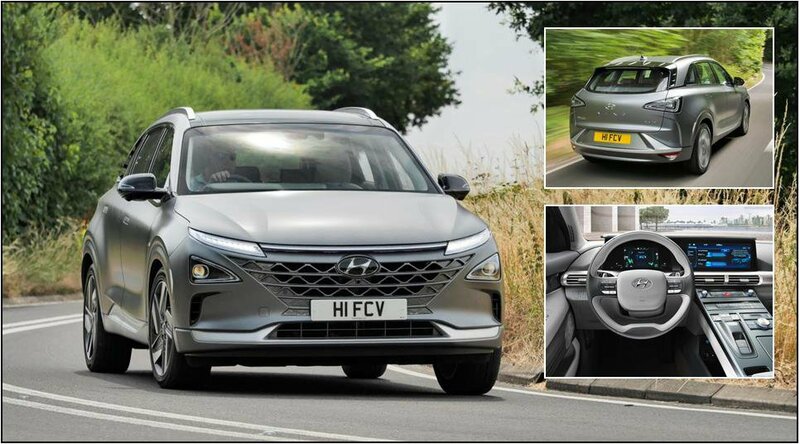 Hyundai Motor UK has announced that orders for the new NEXO hydrogen fuel cell-powered SUV are open and may be placed directly with them. The NEXO is set to take flagship status for Hyundai's eco car portfolio. As SUVs go, it’s quite a looker; with sleek lines and pop-out door handles, attention-grabbing, full-width LED lighting and clever aerodynamics are sure to turn heads. Futuristic is the buzzword for the interior with a large central 12.3-inch infotainment screen and a seven-inch display ahead of the driver. There’s some neat metallic switchgear on the floating centre console and high quality eco-friendly plastics throughout. With hydrogen reacting with oxygen in the fuel cell to create electricity, you won’t be surprised to hear that driving the NEXO is similar to driving many other electric cars: quiet and relaxed. The electric motor produces 161hp and 395Nm of torque, with 0-62mph attained in 9.2 seconds. Okay, even by financially-sensible leasing standards, the NEXO is pricey, but it’s a very enticing proposition and that’s the price you pay to be at the cutting edge of future technology. To register your interest in any of the above cars coming our way soon call our friendly and helpful sales team on 01618 269716.